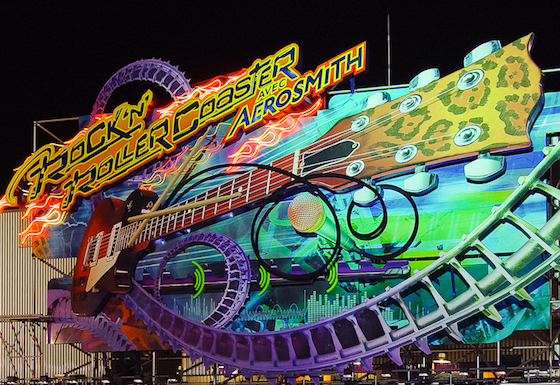 Some 17 years ago, Disney's Hollywood Studios in Florida opened their Aerosmith-themed Rock 'n' Roller Coaster. Aside from the ride itself, fans have always discussed an apparent crude hand gesture that Steven Tyler made in the ride's preview video. Now, the hand gesture has mysteriously disappeared. Being that it was still the '90s back then, everyone was obsessed with a crude little hand gesture called "the shocker" — including, apparently, Steven Tyler, who proudly reminded us that pink was his favourite colour by doing said gesture in the video. This week, however, multiple fans have noticed that Steven Tyler's hand has been digitally altered so that it's a regular hand gesture, rather than the shocker. Compare a photo of Tyler holding up the shocker with the updated video below. Thanks to Inside the Magic for the tip.